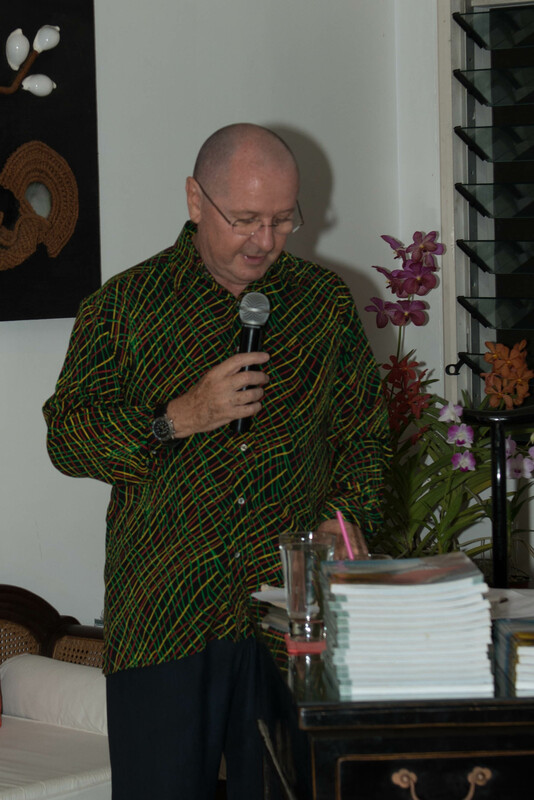 The book Launch at the Fiji Orich is now almost one month back – and it was a great evening! Thanks very much to all the dedicated people who make it such a success and an unforgettable moment! Go back in memories and look at the great moments captured during the evening and read Peter Bourke’s opening message. Your Excellencies, The President, Ratu Epeli and First Lady, Adi Koila Nailatikau. The Honourable Minister for Tourism, Mr. FaiyazKoya, Ladies & Gentlemen. I am delighted, indeed honoured to be invited here to launch this most wonderful and charming book “FIJI RECIPES & MEMORIES” written by the “NEW KID ON THE BLOCK” of literary circles, the very talented Lynette Mercer.